Posted on 2012/08/07. Used Comiket, Event. I summarized the sketch of Comiket 82 day three (August 12)’s dojin genre maps in the following pictures. 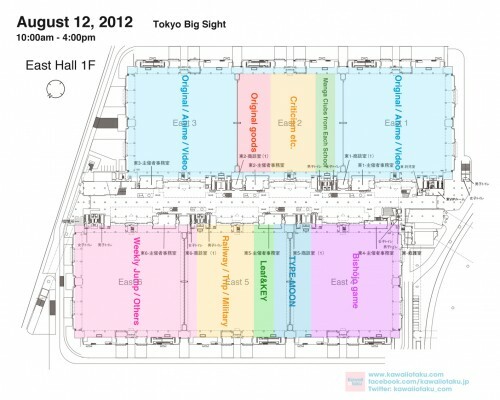 Comiket 82: Day one’s maps are here. 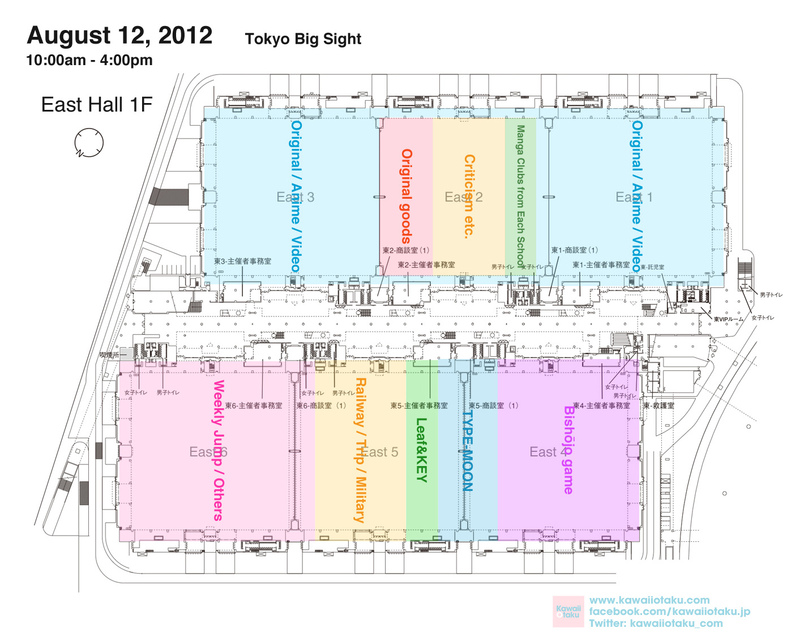 Comiket 82: Day two’s maps are here. 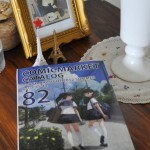 You can see Comiket 82′s schedule here. 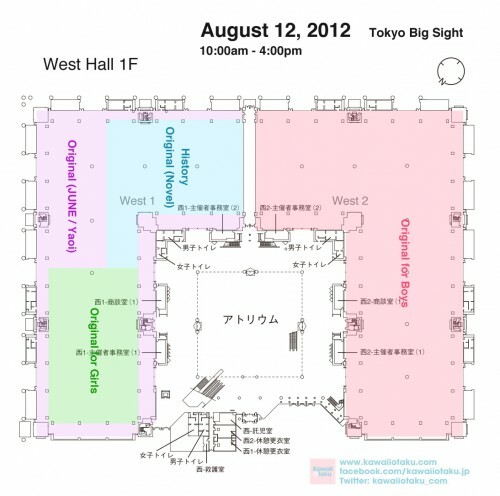 As a rule, all Comiket visitors must buy the catalog and read the precaution. 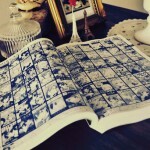 It is not mandatory, and I think that you might get what you are looking for with just following maps, but please buy the catalog for further information. *Click for the larger maps.